Communicating planning policy to your constituents can be complex - especially if multiple planning controls affect large numbers of people. PolicyScape helps you expertly communicate your proposed policy, reach large audiences, and collect feedback from impacted citizens. Communicate information to your entire community in a cost friendly way. Both your staff and audience will be able to easily query information for every property in your jurisdiction from any device at any time. 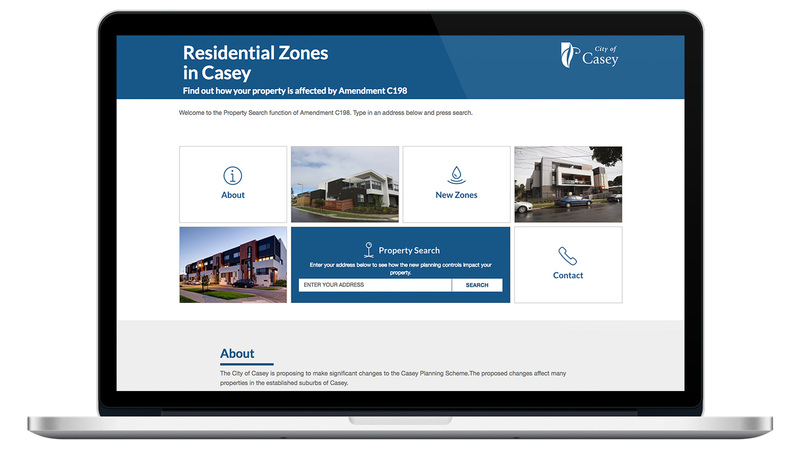 Help your audience quickly find the relevant information affecting their property to make understanding of what is changing and why clear and to the point. 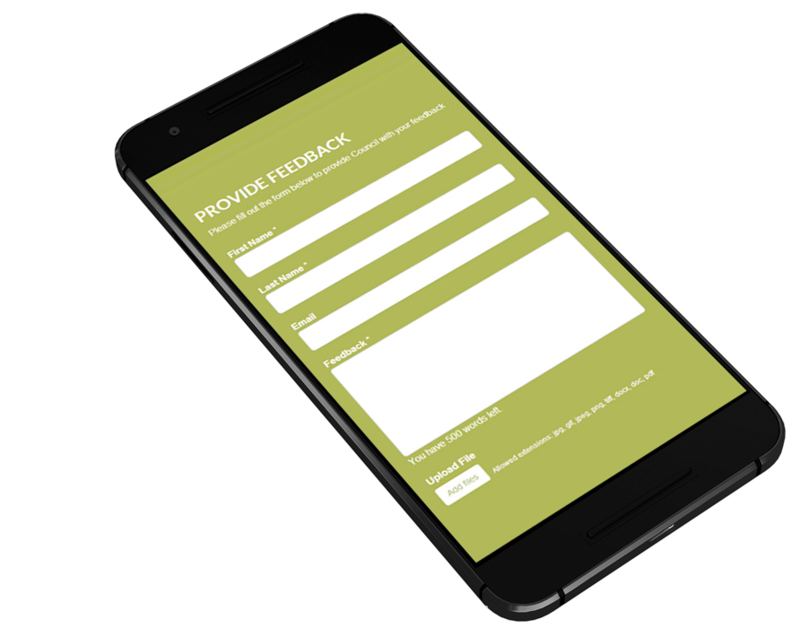 Collect property-specific feedback from your audience to test the support for your policies. Use a range of feedback question types to help you collect community sentiment and opinion in both formal and informal ways. Allow users to quickly search their property and view a personalised report and map of both current and proposed planning controls. Customise reports to include multiple planning controls and content including text, images, video, and other media types as required. 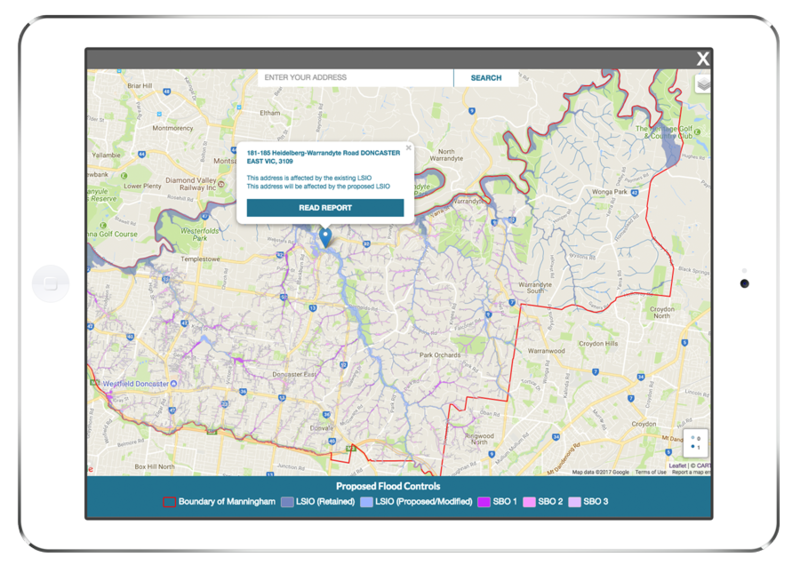 Display high-quality, interactive maps to communicate controls, including a side-by-side, A/B map to compare existing and proposed changes. Ask targeted questions to your audience to collect feedback on whether they support the changes and the reasons behind it. Quickly see how many people you have reached, who has run property reports and where your proposals are getting support. Provide contextual information with an attractive website to provide background, updates and links to documents. Easily manage the content of the website and report to make quick content changes and provide updates as needed. Make the product your own by incorporating your brand identity including customisable logos, colours and fonts.